I can't believe how long I've been offline. My website looked old and dull. The posts are old! So, I updated my site a bit, and though it's not done yet, many tweaks to go, it feels fresher. Kind of like my attitude these days, I feel a dawning of something new. the numbers don't matter, though I was a bit curious. And with each and every painting, I spoke a gentle "Thank You" for the experience of having painted it. That was an integral and very important part of this ritual. So what is next? OMG, not sure, but I feel something new birthing deep within. And this is my process. Never one to do something in little reasonable increments, when I get an idea....it's all the way. I'm just weird that way. 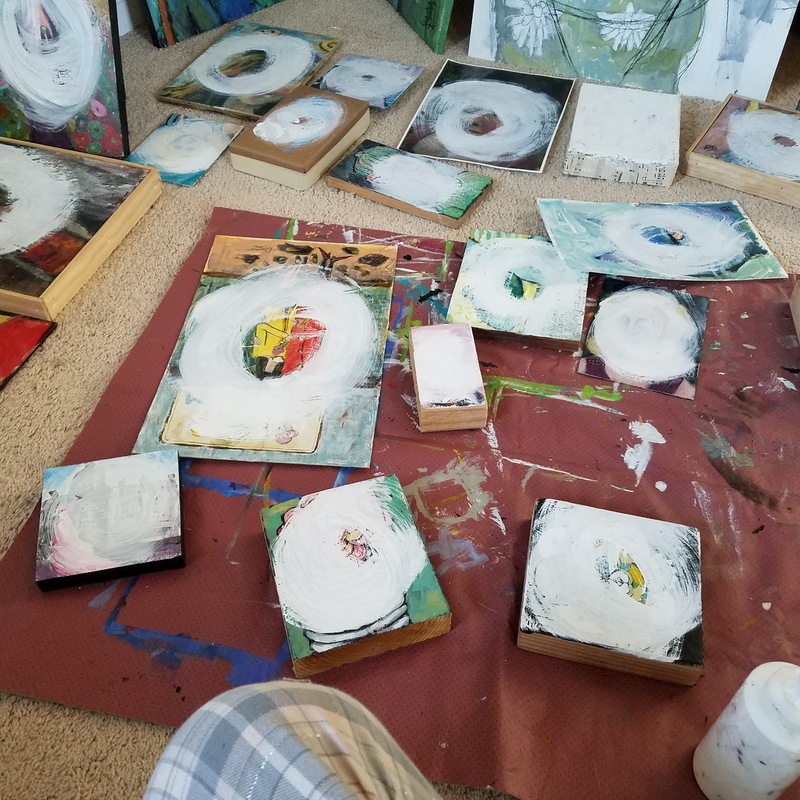 So wish me luck....I am hoping some exciting art comes through. Deeper, richer, more resonant with my being that is healing from 15 months of pain and recovery. Blessings upon my hands, and yours, too. Take good care of them. Let's see what magic lies ahead. 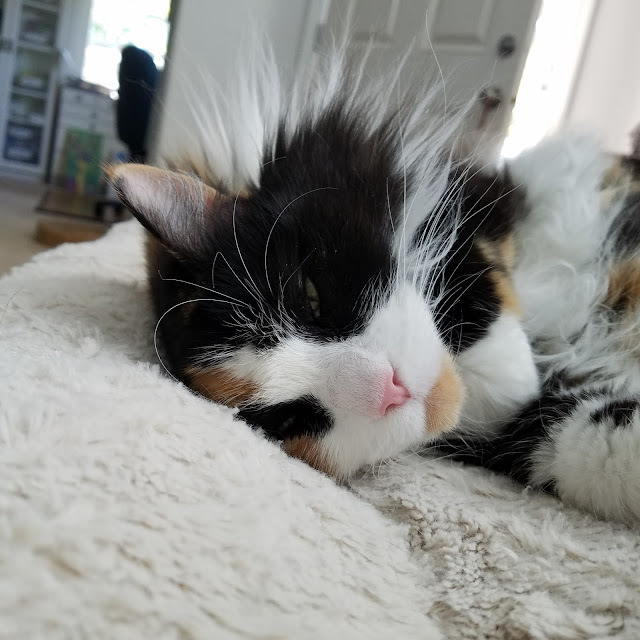 Isn't my Blossom (aka Muse) precious? I am currently a featured artist at Graton Gallery. Through mid August. Great show, go see it, something for everyone. I have one opening in my Monday 10-noon class starting in August. Contact me if you are interested. 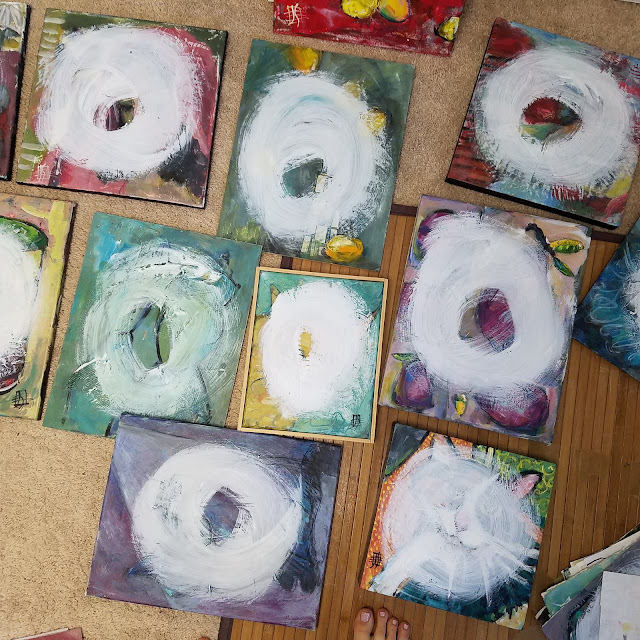 I am teaching 4 UNCORKED PAINTING evening classes at the Sonoma County Fair....bring nothing! That's right, everything is ready for you, canvas, paints, brushes, apron, and me - ready to teach you how to paint. Absolutely no experience needed. And Wine will be poured! I will be offering a one-day Altered Vintage Sketchbook workshop on October 3. More info coming. 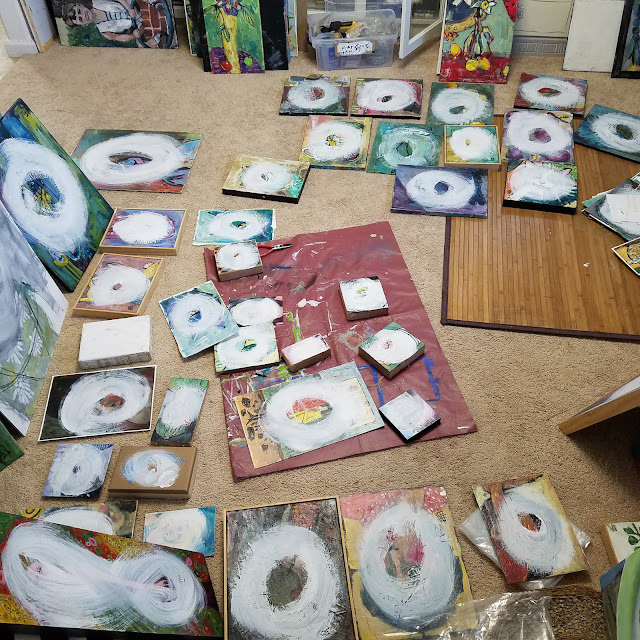 Mark your calendars...do not miss my 2nd Annual Open Studio on Nov 11 and 12 with Giovanna and Nancy. Raffles, Demos, good eats, my talented students' works, and loads of my art at ridiculous prices. (What's left of it, lol.) My aunt will be our shuttle driver again this year. She had a blast meeting so many of you. Thanks, Pat. More to come. Blessings. Yes, I sense you are entering a portal into a new level of creativity. 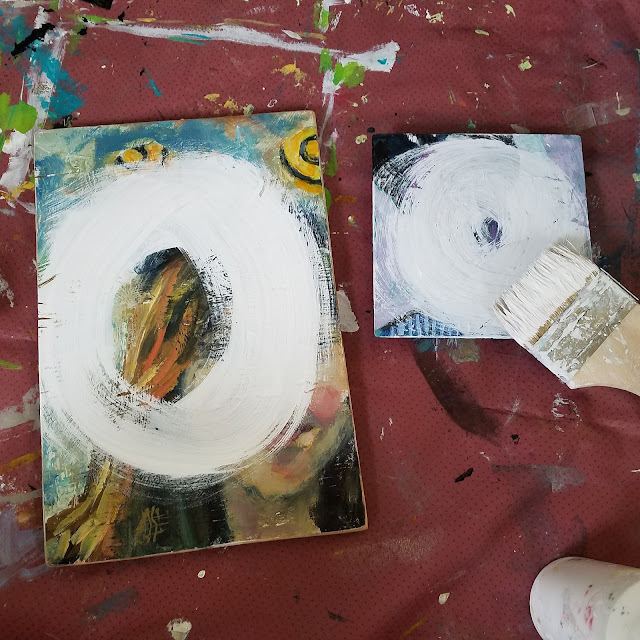 I'd seen that "Enso" design before, on some pottery - So, I looked up the meaning and see that it so fits in with your renewal endeavors: "Enso: uninhibited brushstrokes to express a moment when the mind is free to let the body create. 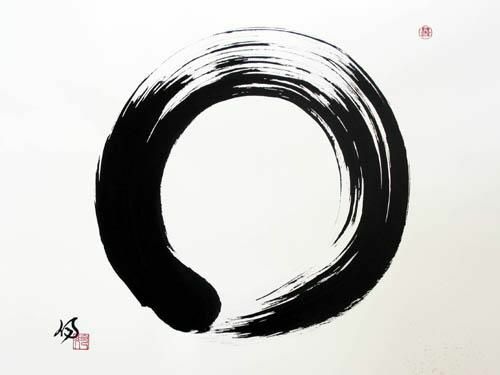 The Enso symbolizes absolute enlightenment, strength, elegance, the universe, and mu (the void)." LOVE IT! And, your dear Blossom! Isn't she the embodiment of perfect serenity, just simply relaxing in the "Now"! Joanie, I KNOW you are grateful for your endless renewability. Thank you so much, and for adding the Enso meaning here! Awesome, and yessirree. Spot on. You are so sweet, dear Francine. 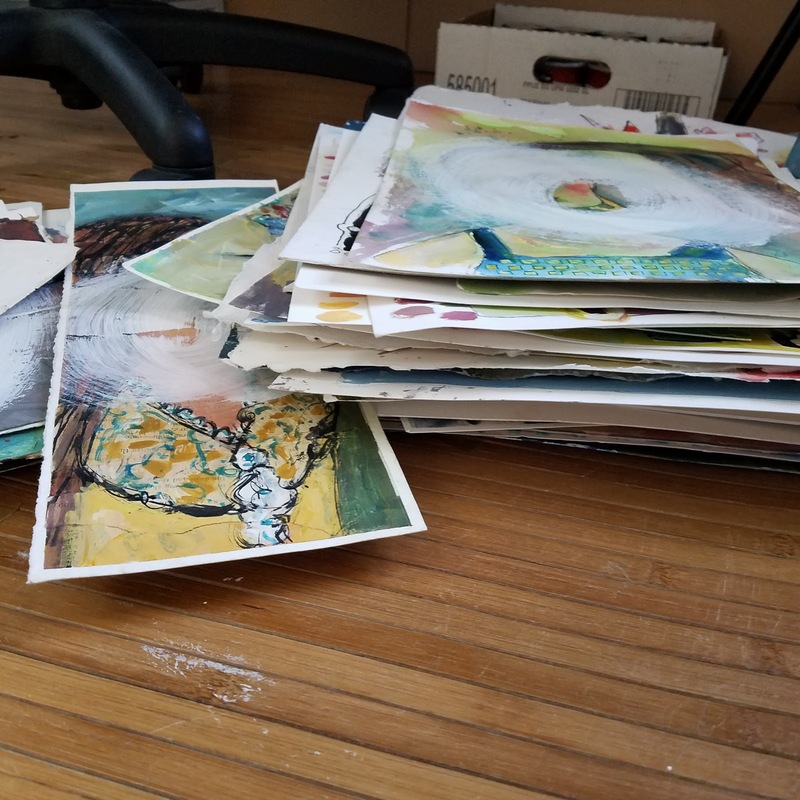 Hope you are making art this summer. Always with your heart. Of course!